'Ram's story as a metaphor for human strengths and weaknesses and as a window to inner divinity'--Tehelka / Ram is maryada purushottam, the supreme upholder of social values, scion of the Raghu clan, jewel of the solar dynasty, seventh avatar of Vishnu. Reviled by feminists, appropriated by politicians, he remains serene in his majesty, the only Hindu deity to be worshipped as a king. 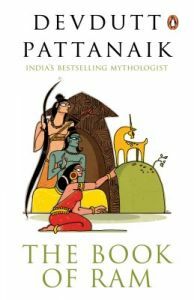 Join Devdutt Pattanaik as he explores the relevance of Ram in modern times, peeling back the layers of metaphors and meanings in the many retellings of his tale.